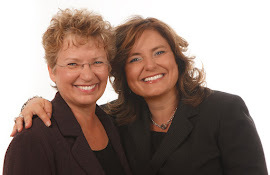 Anne Davies and Sandra Herbst: Are you a primary teacher? Do you wonder if AFL can make a difference? Are you a primary teacher? Do you wonder if AFL can make a difference? learning can make for learning. I encourage you to enjoy it. It is available online. I am including the abstract below. PS If you have a study that focuses on assessment for learning, please send me the link! I would enjoy the chance to read it. In this qualitative study, I investigated six grade 1 and 2 children’s change in their articulation about the quality of their writing throughout one school year of exposure to Assessment For Learning. The Assessment For Learning strategies included giving and receiving feedback, co-creating assignment criteria, one-on-one and small group conferences, and articulating work with peers and teacher, as well as considering work samples from previous students, supported student writing. In addition, writing samples were analyzed to search for authenticity in what students were saying about their writing and about what makes good writing. The research questions that I was investigating were: 1. In what ways do students articulate their understanding of accomplished or needed improvements in their written work? 2. In what ways is this articulation related to implemented Assessment For Learning practices? Research methods involved both naturalistic inquiry and grounded theory analysis. Data included a semi structured interview, used at the beginning and end of the school year; teacher observations; student writing samples; tape recordings of teacher-student (one on one and small group and whole class) conversations; and samples of student developed criteria. Transcripts were read and re-read to develop themes, searching for how the selected six students articulated their understandings of quality writing. In addition, writing samples were analyzed to search for authenticity in what students were saying about their writing and about what makes good writing The six children were chosen for maximum variation on beginning ability, and gender. Of the six students, all began, in September, by talking about appearance of writing – neatness, spaces between words, etc. By November, they were talking about quality of words, length of sentences, and were articulating methods for improving their spelling, and increasing sentence and story length. By June, the high achieving boy was talking about quality writing having “to make sense”. In this study, the boys improved as much, or more, as the girls. Although no generalizations can be made from such a small qualitative study, this is an unexpected outcome. An important finding of this study is the link between children’s ability to articulate about quality writing from having participated in Assessment for Learning principles, and their ability to regulate their own learning (self-regulated learning). Theory derived from this study points to a relationship between Assessment For Learning and self-regulated writing activity. What about Fredericton, NB in Atlantic Canada? Do you want to join us this August?